Our People | HC Government Realty Trust, Inc.
Mr. Hale has managed the Hale Partnership Fund LP, MGEN-II Hale Fund LP, Clark-Hale Fund LP, and Hale Medical Office Building Fund, LP, via Hale Partnership Capital Management, LLC, since September 2010. In November 2017, Mr. Hale was named Chairman of the Board for Stanley Furniture Company, Inc. (since renamed HG Holdings, Inc.). He has served as Chief Executive Officer of HG Holdings, Inc. since March 2018. Prior to founding Hale Partnership Capital Management, LLC, Mr. Hale worked for Babson Capital Management, LLC where he was responsible for primary coverage of distressed debt investments across a variety of industries including manufacturing commercial real estate, services, and casinos/gaming. Prior to joining Babson, Mr. Hale was a Leveraged Finance Analyst at Bank of America Securities. 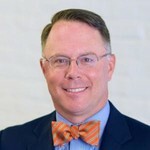 Mr. Hale graduated from Wake Forest University in 2005, where majored in economics, minored in psychology and religion, and was a 3-year letterman on the varsity football team. Mr. Kaplan, Jr. is the co-founder and President of HC Government Realty Trust, Inc. a Maryland REIT. He is also the co-founder and Vice President of the REIT’s Manager, Holmwood Capital Advisors, LLC. Mr. Kaplan, Jr. is directly responsible for the creation and structuring the Company’s equity offerings, capital structuring and corporate legal matters. Mr. Kaplan, Jr. overseas and manages the marketing for the Company’s security offerings to the independent broker dealer community. For the past 20 years, Mr. Kaplan Jr.’s legal expertise has focused on real estate securities and finance, real estate transactions, mergers and acquisitions, general corporate law, securities compliance, private offerings, tax, and strategic partnerships / joint-ventures. Mr. Kaplan, Jr. is a founder and Managing Partner of Kaplan Voekler Cunningham & Frank, PLC, a Richmond, VA, headquartered law firm that practices in the areas of development and real estate investment, capital markets, litigation, and business representation. Mr. Kaplan, Jr. has been the primary counsel in over $2 billion in securities offerings and real estate financings. Mr. Kaplan, Jr. holds AB and JD degrees from the College of William & Mary. 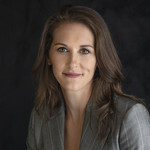 Ms. Piscetelli served as Chief Financial Officer of Stanley Furniture Company, LLC (“Stanley Furniture”) from March 2018 until January 2019 where she directed all finance and accounting operations. Prior to joining Stanley Furniture, Ms. Piscetelli served as the Financial Executive – Governance for the Financial Management group at BB&T Corporation (“BB&T”) from 2016 to 2018 where she managed BB&T’s Sarbanes-Oxley Section 302 and 404 compliance programs. From 2013 to 2016, Ms. Piscetelli worked in BB&T’s Accounting Policy group where she was primarily responsible for monitoring the issuance of new accounting pronouncements and evaluating their impact on the financial institution. Ms. Piscetelli spent over 7 years in public accounting at Ernst & Young LLP (“EY”) in their Assurance practice. At EY, she served both public and private clients with domestic and foreign operations across a variety of industries including manufacturing and distribution, automotive, retail and financial services. Ms. Piscetelli graduated from Wake Forest University in 2006 with a B.S. and M.S. in Accountancy. Mr. Garner joined Hale Partnership Capital Management, LLC in 2015 as Chief Financial Officer and Partner. In April 2018, Mr. Garner was named Chief Financial Officer of HG Holdings, Inc. (formerly Stanley Furniture Company, Inc.). Mr. Garner leads Real Estate efforts and private equity investments for the Hale entities. He has also served as Chief Financial Officer of Best Bar Ever, Inc., a protein bar business from 2015-2017. Mr. Garner assisted in raising and structuring a capital investment and successful exit to a strategic partner while overseeing all financial reporting functions during a two-year time horizon. 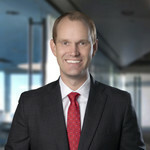 Prior to taking on that role, he spent 10 years in public accounting at Dixon Hughes Goodman LLP (“DHG”), the largest public accounting firm headquartered in the Southeast, as a Senior Tax Manager. At DHG, he served domestic closely held companies (specifically pass-through entities) and individuals. These clients represented a variety of industries including manufacturing and distribution, construction and real estate, and financial institutions. Mr. Garner earned B.S and M.S in Accounting from Wake Forest. Mr. Hultquist has served as the Managing Member of Hillandale Advisors, a private investment and advisory firm that works with private businesses and their owners on strategic growth since January 2017. In June 2018, Matthew joined the Board of Directors of HG Holdings, Inc. (formerly Stanley Furniture Company, Inc.). From 2006 to 2016, Matt served on the investment team as Sasco Capital, Inc., a public equity asset management firm overseeing $4 billion + of assets for public funds, corporations and endowments. Sasco Capital invested in mid to large capitalization public companies across most industries, with jewel businesses, that are undergoing corporate restructuring, transformation, or management change. 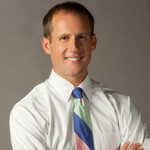 Matt earned B.S in Finance from Wake Forest University and M.B.A from Columbia Business School. 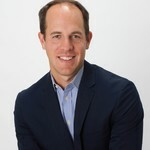 Mr. Stewart has been the Chairman of the Foursquare Foundation Investment Committee since 2008. 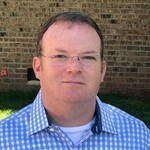 Mr. Stewart also currently sits on Morgan Stanley’s North Haven Credit Advisory Board. Mr. Stewart is a highly-experienced portfolio manager with 24 years of experience investing and researching debt and equity, including equity research at IJL and fixed income at First Union, and portfolio management at Babson Capital Management, LLC. Jeff started his career as a United States Marine in 1985. Three time meritoriously promoted, he was awarded a NROTC scholarship in 1988 and attended UNC Chapel Hill, where he received a BSBA with a concentration in finance and a minor in history with distinction.